With Spring just a week away, we’re daydreaming of warm breezes, verdant mountain vistas, wildflowers galore, spring songbirds and…well, we thought we’d go ahead and make a list of ten reasons to visit the mountains of Western North Carolina in springtime. What is there to see and do in Spring in the NC mountains? 2. Wildflowers. As you can see from the video above, western North Carolina features beautiful mountain scenery, and native plants and flowers, such as azaleas, mountain laurel and rhododendron, redbuds, lady slippers and trillium, are all part of the spectacular Spring show. Early April brings tulips, daffodils and dogwoods. Redbuds and trilliums join the show in April, with azaleas blooming between late April and early May. Mountain laurel and rhododendron start blossoming in May. The rhododendron is generally in full bloom on the Blue Ridge Parkway by Memorial Day weekend, and wildflowers are also a sight to see at that time. Earlier in the season, you can see flowering trees and shrubs as well as wildflowers starting to bloom at lower elevations near the Inn on Mill Creek, such as Asheville, Black Mountain and Chimney Rock. 3. Fresh air and water…OK, this is a year-round perk for our area, but springtime brings the added bonus of warm breezes, the return of that awesome smell after it rains, and the chance to get outdoors and breathe in all that fresh air. 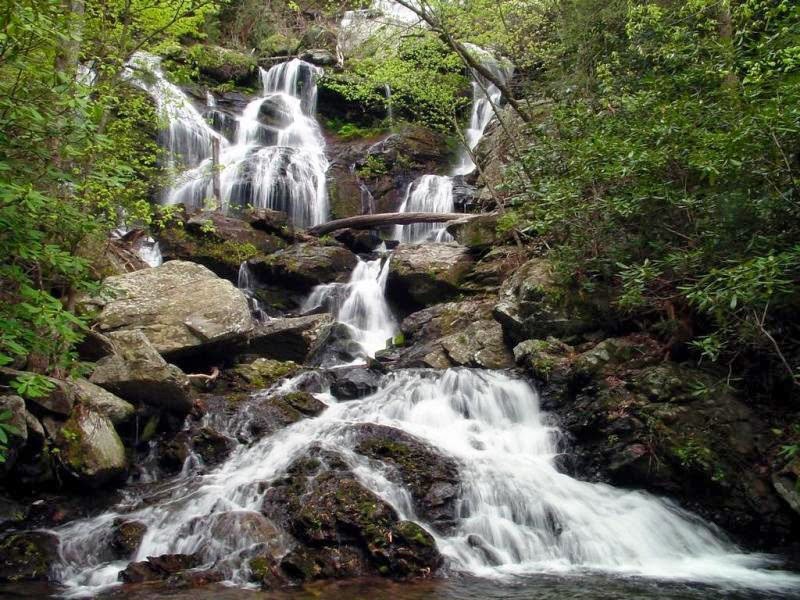 Plus, you can hike some great waterfall trails, such as Catawba Falls in Old Fort, that are given a little springtime water boost after the snow melts. Parkway by May. And then come the blooming rhododendron by late May. popular daytripping destination for guests. 6. Art events in the North Carolina mountains are as abundant as flowers in springtime. Asheville has been named one of the best small cities for art lovers, and for good reason. It seems as if there is a gallery, shop or studio around every corner and every art medium is represented – painting, glass, fiber and textiles, wood, sculpture, photography, ceramics and pottery, jewelry, and so on. Art events in the Asheville area include downtown Asheville art walks the first Friday of every month, Arts Mart at the Old Fort Depot every first Saturday of the month, Lunchtime Art Breaks at the Asheville Art Museum (a series of gallery talks and presentations), the 17th Annual Black Mountain Art & Craft Show on May 31, and the 8th Annual Art in Bloom event in Black Mountain June 12-14, just to name a few. 8. 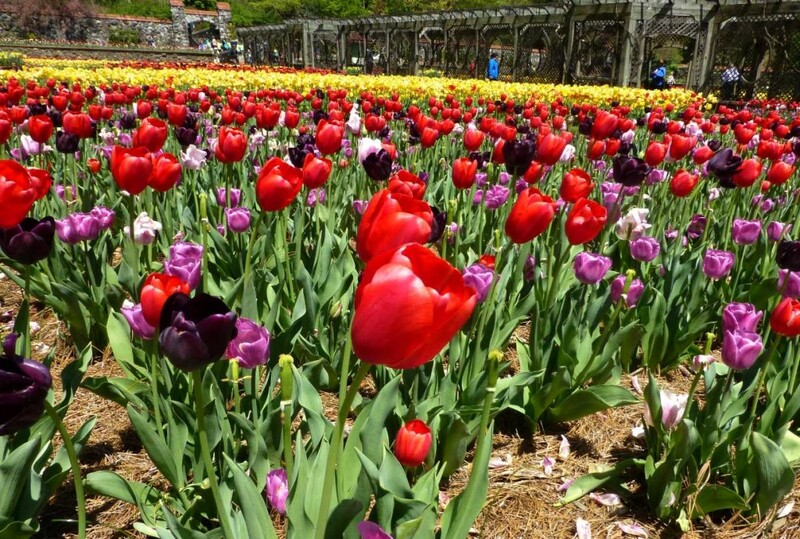 Spring is a terrific time to visit Biltmore Estate in Asheville. Biltmore Estate is awash in flowers in springtime, outside and indoors, thanks to Biltmore Blooms, the estate’s celebration of Spring. Read more about it at our 2014 Biltmore Blooms blog post. Two places not to miss at Biltmore during the spring season: the balcony outside the Tapestry Room at Biltmore House, where you can sit and relax and take in beautiful mountain views that the Vanderbilts and their guests would have enjoyed, and the Walled Garden, where you can walk among thousands of tulips (April) and other spring flowers. 9. Stargazing opportunities abound in springtime. We always say one of our favorite things about having a Bed & Breakfast inside Pisgah National Forest in the mountains of western North Carolina is the lack of light pollution. Dark skies are lit up with thousands and thousands of stars, and you can even see the Milky Way Galaxy some nights stretching across the sky from the Inn’s south lawn and over the Main House. Celestial events in spring of 2014 include a total lunar eclipse on April 15, the Lyrids Meteor Shower on April 22-23, the Eta Aquarids Meteor Shower on May 5-6 (also known annually as “Innkeeper Brigette’s Birthday Meteor Shower”). In addition, new moons (when the moon is not visible, making it easier to see more stars) happen on March 30, April 29 and May 28. 10. Seasonal farmers’ markets and nurseries open for the season. The Asheville area has a handful of year-round farmers’ markets; however, the closest tailgate market in proximity to the Inn on Mill Creek, the Black Mountain Tailgate Market, is a seasonal market and opens May 3, 2014. This is a perfect place to pick up some locally-produced food, flowers, and handcrafted items to enjoy as a memento of your time in the North Carolina mountains. 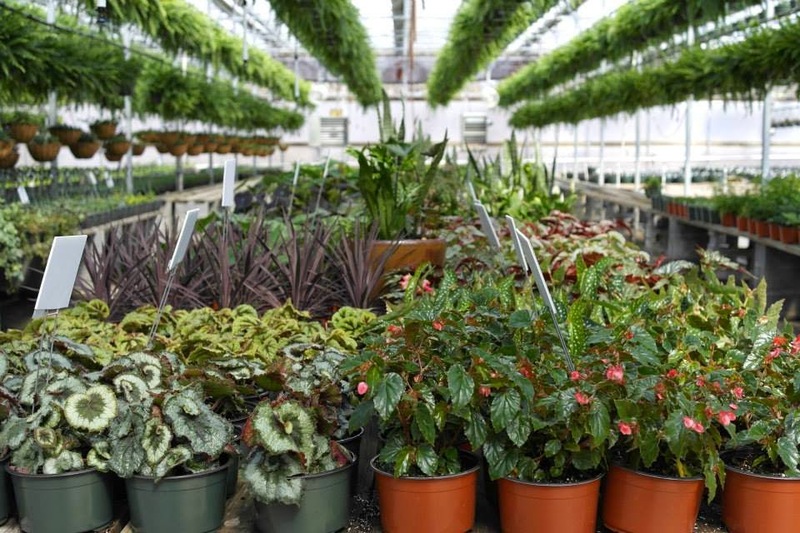 Also, one of our favorite plant nurseries, Painters Greenhouse in Old Fort, opens for its season on March 1, and is also a place our guests like to pick up a locally-grown, lasting keepsake of their trip to our area. This entry was posted in Uncategorized and tagged Asheville, Biltmore, Black Mountain, Blue Ridge Parkway, festivals and special events, flora and fauna, Old Fort / Andrews Geyser, outdoors, Spring, stargazing by Inn on Mill Creek. Bookmark the permalink.